Hello! Back on Independence day, I posted a fireworks card on my blog (linked at the bottom of this post). I really liked the stencil, so I challenged myself to create a brighter colored version using the same type of layout. This is what I came up with. 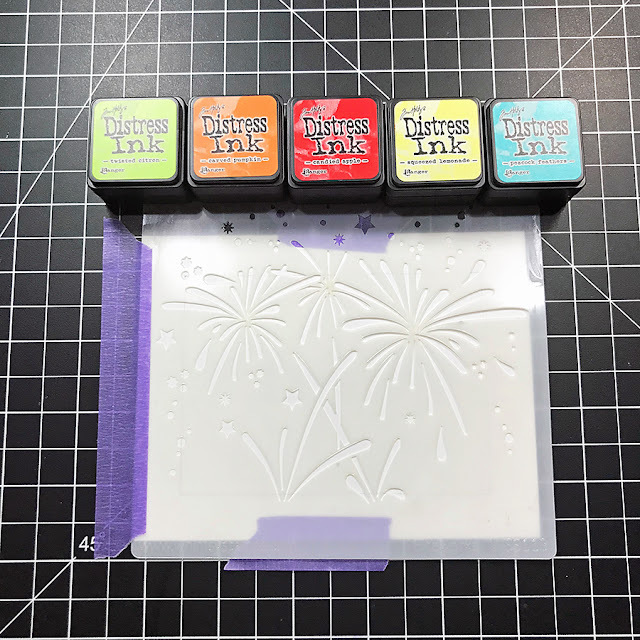 For the fireworks, I masked off an area on a piece of Classic Crest White with the Fireworks stencil from Whimsy Stamps and some painter’s tape and did a little blending with some Distress Inks. 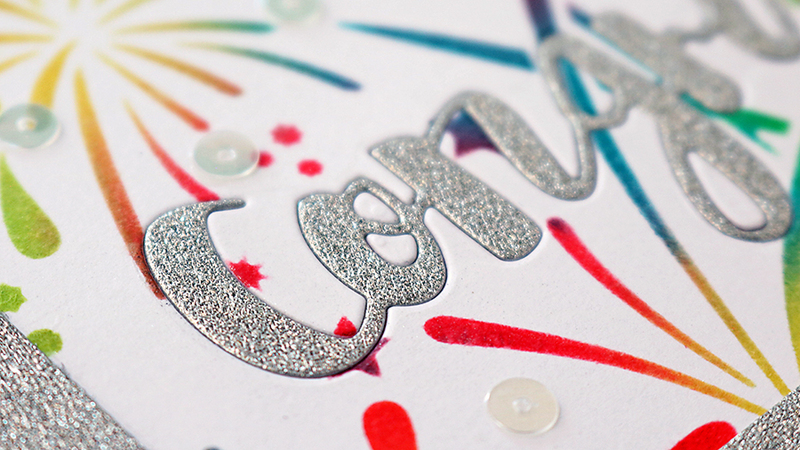 To finish the inking, I spritzed the design with Shimmer Spray in Sparkle to add a bit of glitter to the fireworks. 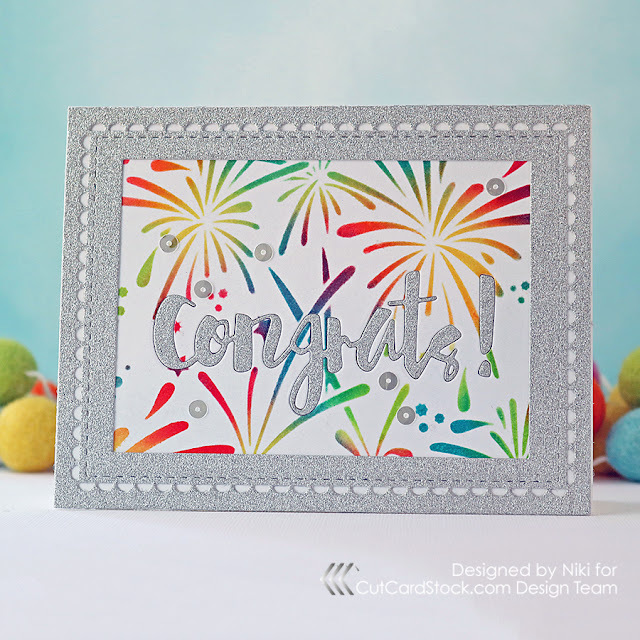 While that was drying, I die-cut the frame and the sentiment out of Mirrisparkle in Silver. 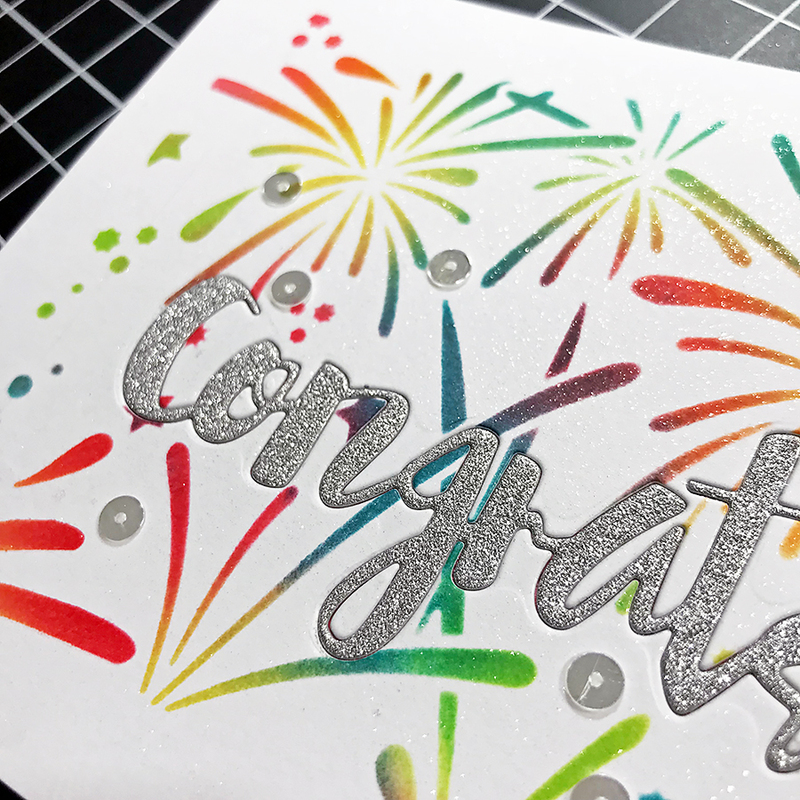 I wanted to create a flat card this time, so I die-cut the sentiment out of the inked design (saving all the inside pieces of the letters!) to create an inlay area for the Mirrisparkle sentiment. 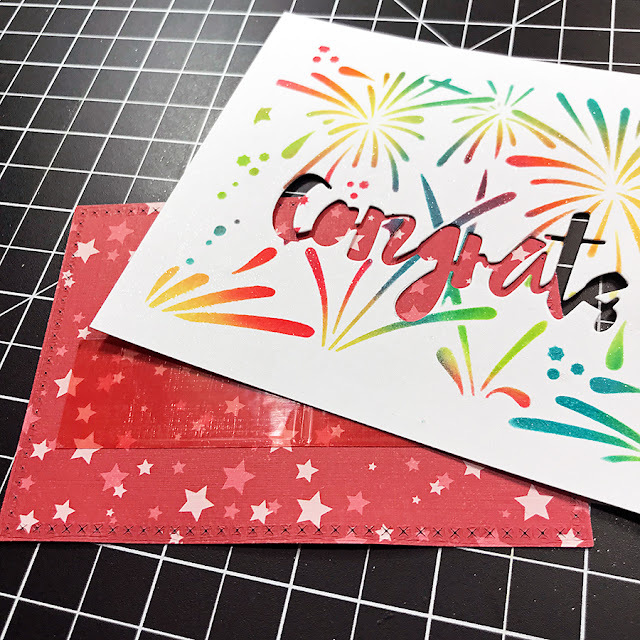 The easiest way to stick all the pieces back in place is to put a piece of scratch paper covered in glue tape or double-sided adhesive behind the opening. Then, all you have to do it tap everything into place. After the sentiment was done, I layered on the frame with narrow glue tape and added a scattering of flat sequins. Here’s the link to the original card I used for inspiration. 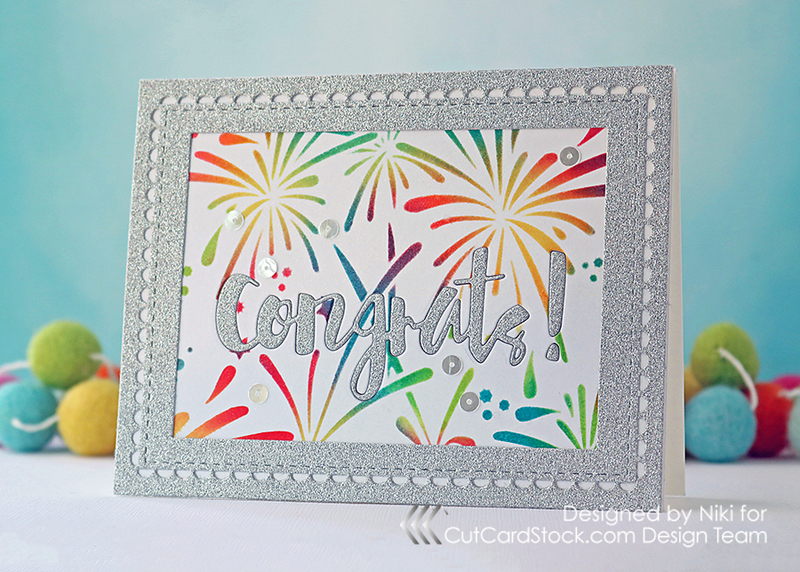 Have you ever used one of your own cards as inspiration? Leave a comment below and tell me how it went! Happy crafting!